With the holiday season right around the corner, here are our top 5 holiday gift ideas so that you can share the magic of Ballet Arizona with friends and family throughout the year! 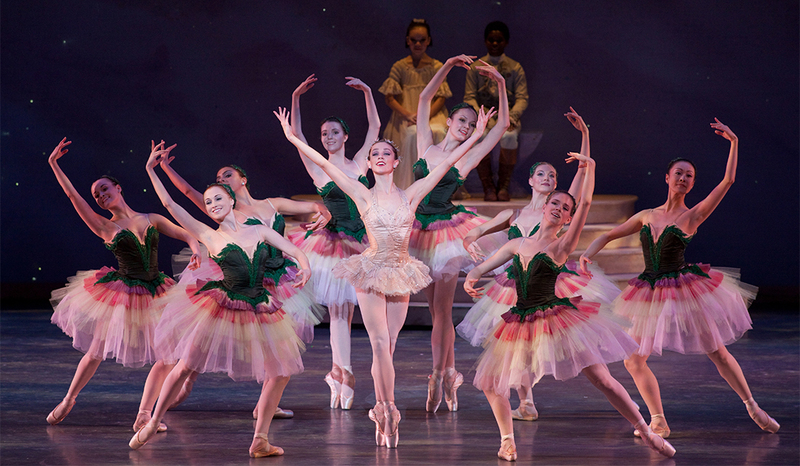 Ballet Arizona dancers in The Nutcracker. Choreography by Ib Andersen. Photo by Rosalie O’Connor. In 2019 Ballet Arizona will set hearts afire over Valentine’s Day weekend with a world-premiere of The Firebird by Artistic Director Ib Andersen. Imagination becomes reality in this Russian fairy tale with a twist – featuring all new costumes and technology enhanced sets! This brand new ballet explores themes of love, fantasy, and escapism, and is set to Stravinsky’s unforgettable modern score. Click here to to get your tickets to this once-in-a-lifetime performance. Ballet Arizona dancers in “Square Dance. Choreography by George Balanchine. Photo by Alexander Iziliaev. © The George Balanchine Trust. Celebrate the Father of American Ballet, George Balanchine, right here in downtown Phoenix at Symphony Hall May 2nd – 5th! Ballet Arizona will mark this production with an Arizona premiere of Emeralds, one of Balanchine’s most memorable works, along with the glitz and grandeur of Themes and Variations, and an ode to American folk dance with the lively Square Dance. Click here and share the gift of these world-renowned ballets! Ballet Arizona dancers in “Eroica.” Choreography by Ib Andersen. Photo by Tzu-Chia Huang. 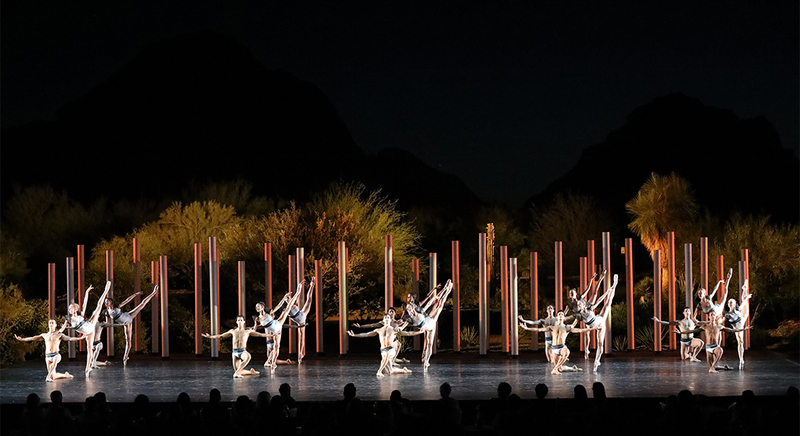 Surrounded by lush desert landscape with the setting sun as a backdrop, Artistic Director Ib Andersen’s critically-acclaimed ballet Eroica comes to life! Beethoven’s transcending Third Symphony sets the stage for this incredible work that highlights the athleticism and beauty of Ballet Arizona’s dancers! Plus you can enjoy dinner and drinks before the show and watch the sunset over the Papago Mountains. Click here to get your tickets! Students of The School of Ballet Arizona. Photos by Tzu-Chia Huang. From year-round programs, to summer intensives and open classes for adults, The School of Ballet Arizona offers it all. So whether your kids, grand-kids, significant other, or even you (because who doesn’t enjoy getting a gift for themselves) is interested in learning how to dance or dust off those old shoes, we offer classes for all levels. Plus our adult open classes offer class cards that are valid over 6-month period making it quick, easy, and a gift that keeps on giving! Click here to learn more about what The School of Ballet Arizona offers. 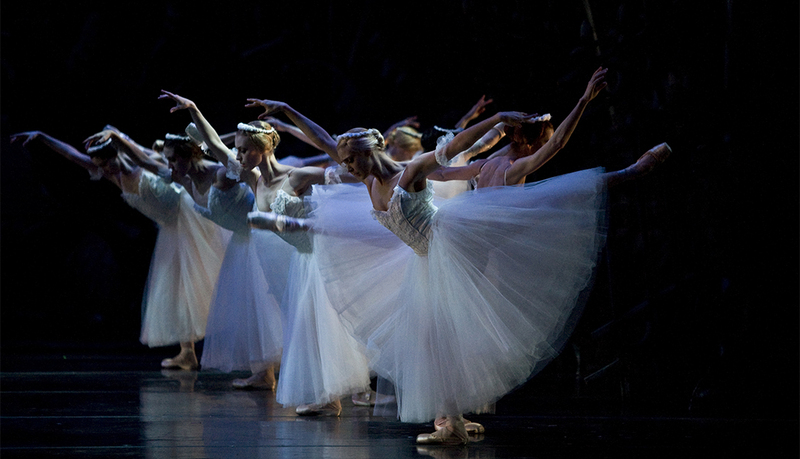 Ballet Arizona dancers in “Giselle.” Choreography by Ib Andersen. Photo by Rosalie O’Connor. That’s right, you heard us, gift cards! Not sure what performance your family or friends wants to attend? Ballet Arizona now offers gift cards to our main-stage productions, so your loved ones can pick the performance of their choice, and you still give an amazing gift. Get your Ballet Arizona gift card online, over the phone, or come visit us in person at our offices in downtown Phoenix! Don’t forget to check out everything that Ballet Arizona has to offer and make Ballet Arizona part of your holiday traditions!